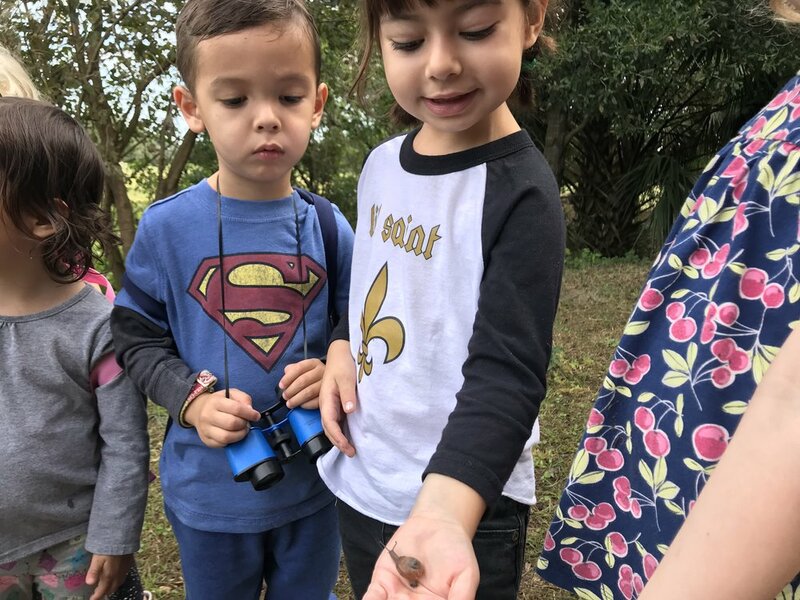 The children of NOLA Nature School gather in the forest to spend the morning outdoors exploring, learning, and having fun. The rich forest ecosystem allows them to develop early science and math skills. They also embrace measured risks, gaining confidence in their bodies and abilities. We are now offering a class for 7 year old and older! This class will focus on a discovering and learning more about ways to help support our ecosystem. We will explore a range of topics from spiders to frog to invasive species. 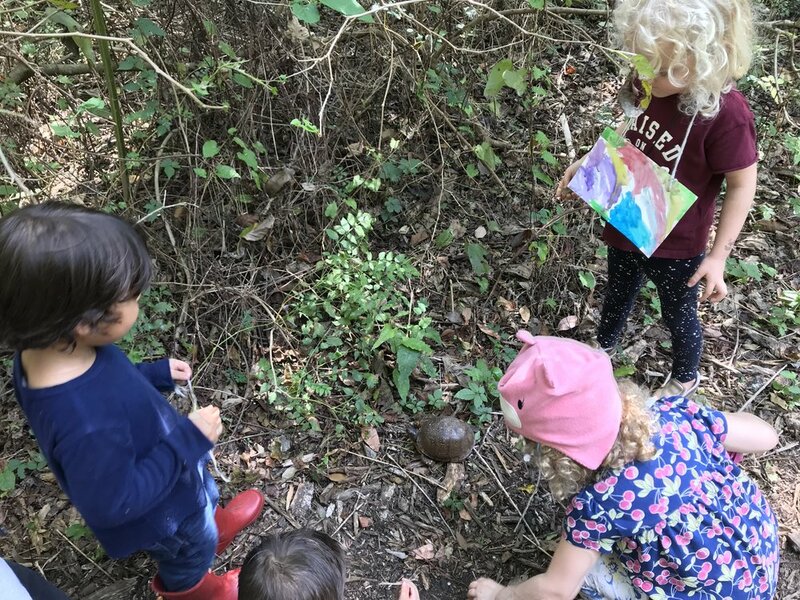 Students work on learning how to identify different flora and fauna of the forest and creating habits for different creatures. This class is lead by a Master Naturalist with extensive experience working with children in nature.